How To / A Year of Techniques / A Year of Techniques: Pinhole Cast On! Alex the Mouse, the new project in A Year of Techniques. 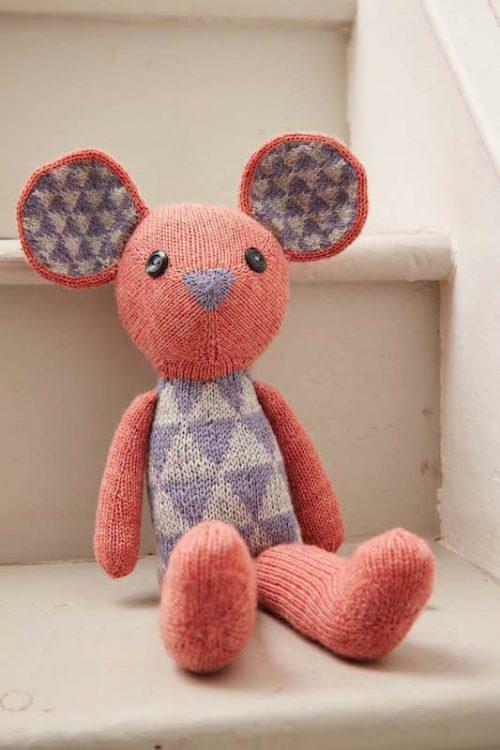 The designer of this lanky little rodent is Ella Austin, whose inventive designs have made us nuts on many occasions (Venn scarf, Conifer cardigan, on and on). It is her animals that make us particularly crazy—Ella has figured out the mechanics of stuffed toys that are clever in construction and use of color. We hope you’ll join us as we embark on unprecedented territory at MDK: the making of limbs, ears, torsos, and heads. Ears with unusually colorful bits. Alex even has the swirly back of the head that babies have. All over this mouse, you’ll notice a number of places where there’s a center dot from which stitches increase outward. That’s the technique that AYOT ringleader Jen Arnall-Culliford teaches in the tutorial above: the pinhole cast on, also known as Emily Ocker’s cast on. Elegant! Cool! Semi-magical! We had no idea! Get the pattern. 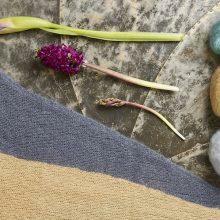 If you have already bought your Year of Techniques ebook, this new pattern has been delivered to your Ravelry library, ready to go. 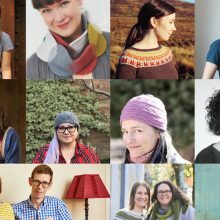 If you need to buy your Year of Techniques ebook, head over to Arnall-Culliford Knitwear where you can purchase your ebook and/or print copy of A Year of Techniques—it includes 12 patterns for the whole program. Get the yarn. Part of the fun with A Year of Techniques is discovering new yarns. 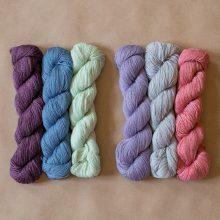 We have just stocked the MDK Shop with Alex kits (here you go), which feature Coop Knits Socks Yeah! 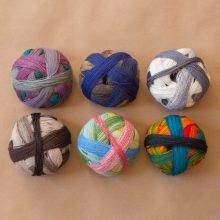 We have to say, it’s not like any sock yarn we’ve seen. There’s a subtle marl to it that really makes for an excellent stuffed mouse toy. 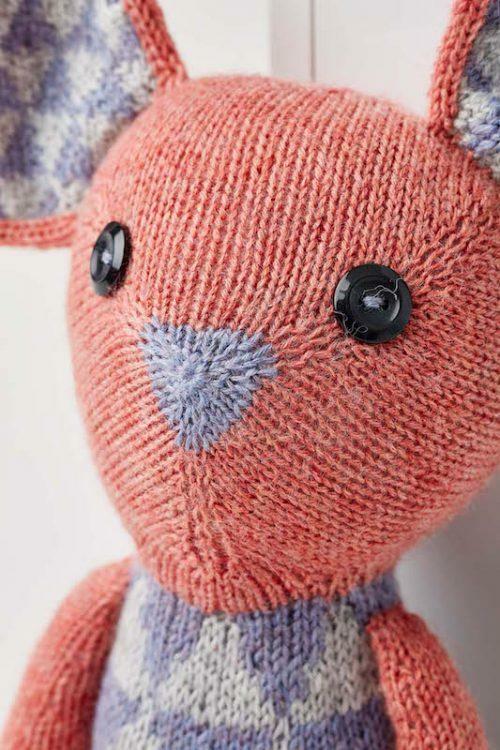 No finer stuffed mouse toy yarn, truly. 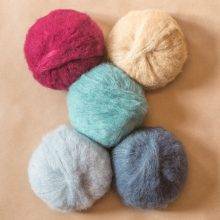 If you’re jonesing to make a stuffed mouse toy, this is the stuff. Join the conversation. Conversation about this month’s project commences immediately over in the Lounge: “Technique Number 3: Pinhole Cast On” and in the Year of Techniques Ravelry group discussion. If you’re dreaming of being a Snippets subscriber, there’s a shockingly low bar to membership: just sign up in the right column, and you’ll hear about wacky contests, flash sales, a roundup of the past week’s MDK features—all the good news we can find, every Saturday morning. With that, I’m ditching out to go make my first-ever pinhole cast on. Pinhole cast on is one of my favourites! So satisfying to pull that string and watch the magic as the hole disappears. I love pinhole cast on (although I have never heard it called that before) and silently thank Emily Ocker on a regular basis. I will often modify patterns that work from the center out so they use this cast on, rather than the one in the directions. 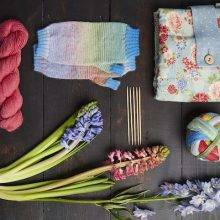 It gives such a tidy beginning and you can make the pinhole larger or smaller to suit your gauge/the look you are going for after you have knit long enough to decide what that should be. This cast on and Kitchener stitch make me feel like a magical rock star, which is such a lovely feeling. It really is clever–and yes, it’s funny how a good technique can be so satisfying to learn. 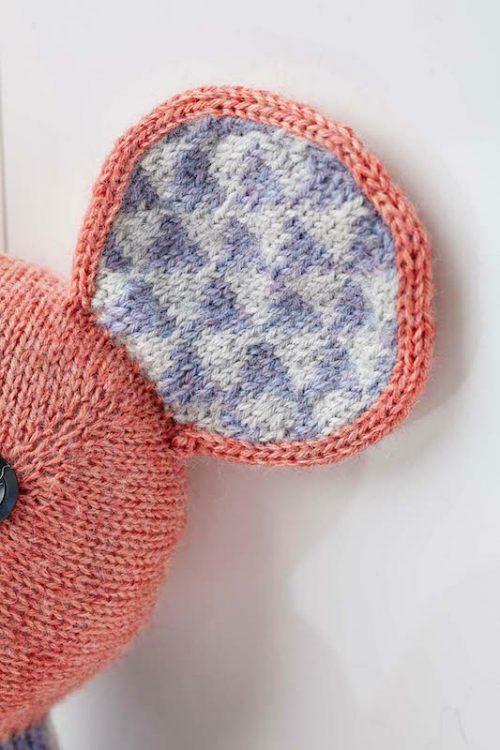 Love this technique – and what a charming pattern. Thanks! Thank you, I’ve tried for years to do this cast on with a crochet hook with truly ugly results. This was clear and I plan to sit with some larger yarn and double point needles until I have it mastered. What a gift you have provided!! So glad to hear it! Jen is so fantastic–I wish only that we could all do A Year of Techniques with her in person! What a cutie! I wonder if you could start a top down hat this way? Then you could try it on as you go, thereby avoiding the empty space at the top I sometimes end up having. I love the swirl. I think that’s a thing, definitely! I have a lot of hat-end anxiety–this seems like a great solution. Thank you, Jen & MDK! That cast-on has never made sense to me before, but Jen’s explanation is so clear & doable. I will definitely be playing with & practicing it tonight. I can’t find my ‘A Year of Techniques’ for May in my Ravelry Library. I downloaded March and April previously but they are no longer in my Library either and A Year of Techniques doesn’t come up when I use the search there. I can’t remember how on earth I accessed and downloaded these before. I’ve paid for the year’s worth, so am flummoxed. 🙂 Can you remind me how I find them? If you have definitely added A Year of Techniques to your Ravelry account, then the easiest way to access your patterns is to go into your library page (in the header at top right where it says Notebook, if you click on that there is a dropdown menu and you’ll see library there). Once you are in your library, there is a search box on the top line (above where it says “sort by, title, author, date added etc”). Pop Year of Techniques into there and it should find it. When you click on the cover (or title depending on which view you are in), you will get a little window open up and you can see all of the pattern files available to download. I do hope that helps! And please do let us know if you have any further difficulty. Oh yes! I know this cast on by the Emily Ocker name. I used it for the center/start of my Girasole. It’s an excellent cast on! Oh, I am going to make use of this technique! First example, toe-up tube socks. Thanks! Hello! 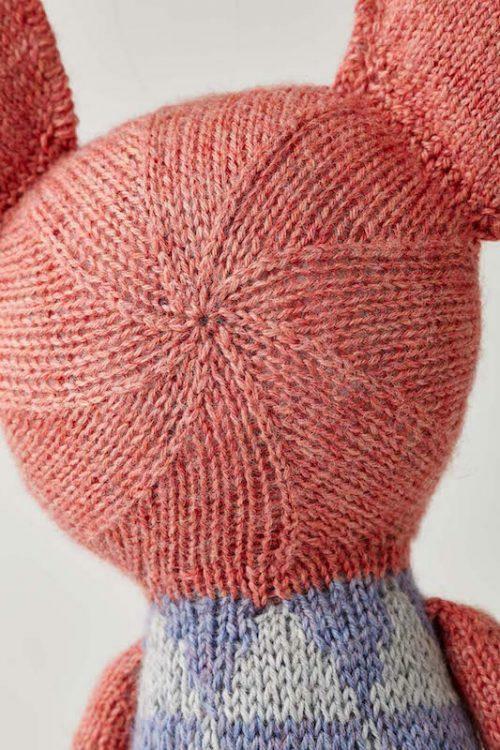 I purchased the hardcopy / ebook bundle from the Arnall-Culliford Knitwear site, but nothing was delivered to my Ravelry library. How might I correct this? Thank you! Regarding my message above, I read through the posts before mine, and I have since contacted https://www.acknitwear.co.uk/contact/ through the online form, so kindly disregard the question. Many thanks.